Does the person below me like The Majestic? Does the person below me belives in ghost? Did TPBM see "Paranormal Activity'? Yes! And it was scary! Does the person below me like the beach? The person below me likes spicy food? Does the person below me like musicals? Does TPBM have any hidden talents? does the person below me like coca cola? does TPBM like the beach? Does TPBM know how to whistle? Not really, but sometimes I can. The person below me has seen the pics of Jim celebrating 4th of July. Yes I have seen them. Has tpbm seen Copper Mountain? No, Jim's body of work is quite impressive! 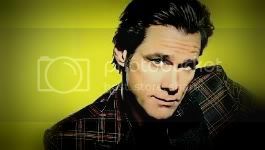 Has TPBM seen all of Jim Carrey's movies?